To Denmark and Back: Værtsfamilie! I have such exciting news! I got my host family! I actually found out on the eighth of this month, which was two weeks ago, but I've been really busy (sorry!). So now I'm letting you know everything! If you're excited for me, it's nothing compared to how excited I was when I got the email - I couldn't stop smiling for the rest of the day, and I miight have screamed... just a little. SO, I don't want to say anything really specific, but I'll say that I'm going to be living with the Anderson family. I'm going to have a mom and dad, a sister who just turned fifteen, and a brother who just turned nine! I honestly don't think I could have asked for a better family. I really, really wanted siblings since I'm an only child here, and I think that their ages are just perfect. The family is really active, so I think I can expect a really busy lifestyle - which I'm completely okay with! I love being busy! This is their first time hosting, so it'll be a learning experience for all of us. I've been emailing with my host mom, and she's so nice! I really think that my family will be a good fit for me. And I'm so glad that I already have my family, because as of this morning, twenty-three AFS students going to Denmark from around the world have yet to be placed. Fingers crossed for them getting families soon! 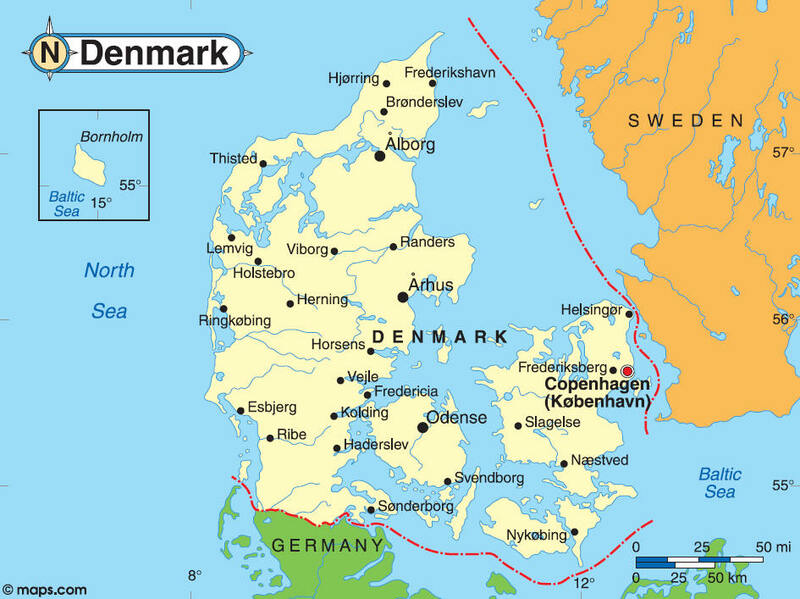 I'll be living on the island of Sjælland (Zealand), which is where København (Copenhagen) is located. In the map below, Sjælland is the island on the right. I'm going to live on the outskirts of a town called Frederikssund. Frederikssund is a town with about fifteen thousand people, so I guess it's not big enough to be on maps, because I couldn't find a map on Google that included it. Fifteen thousand people sounds fairly large to me, but I've been told that it's actually a small town. Anyways, if you look on this map and find Frederiksberg, Frederikssund is northwest of that, right next to the Roskilde Fjord. If you want to know exactly where it is, look it up! I'm in a good location, because I'm only about 45 km from København. I really would have been happy no matter where I was placed, but Frederikssund looks like a great town! And here's my house! 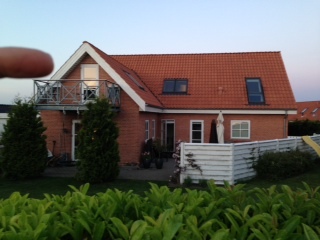 The finger in the top left is pointing to my room. I think it looks perfect! Now: school info! I will be attending the Frederikssund Gymnasium. The info page in English can be found here. If you don't know about the Danish school system and are wondering what exactly a gymnasium is, this is what I understand of how things work (I think this is correct, but sorry if it's not!) - students attend the folkeskole, which is required, until ninth or tenth grade, age fifteen or sixteen, I think. After that, I've heard some take a gap year to go abroad or something of that sort. Then they can enter the efterskole, which is a boarding school, or a gymnasium, which is a three-year university prep. There might be a technical school of some sort too, but I'm not clear on that. Also, upper-level schools typically have lines, normally language, science, and art. The line a person is in determines his or her classes; for instance, someone in a language line would take one or two languages more than someone in a science line. I think that school is optional after the folkeskole, but most students continue because the Danish government pays students to go to university, and it's free. So yes, I've been placed in the first year of gymnasium (I'm a first grader! ), which I think is good because all the students will be coming in without knowing one another. I think there's also something called an introtur for new first graders, which is when all the students go on a trip together (camping, I think) to get to know each other. So that'll be great to get to know people! I'll keep you updated on that! My host mom is figuring things out with the principal of my school, and she'll let me know more info soon. She told me that another AFSer has been placed at my school, a French girl, which I think is great. I don't know whether she'll be in the same grade as me, as I'm younger than average to go on exchange, but I hope I'll get to know her anyways! I've also been looking at my school's website and Facebook page, and it looks like such a great school! On a language note, I've changed my keyboard so that I can switch between English and Danish, making the usage of æ, ø, and å much easier. Before I had to insert them, but now I just press a key. The downside is that the symbols are all in different places. It took me about five minutes - literally - to find the question mark, which is where the - or _ key is on American keyboards (next to the 0). The parentheses are also shifted over, and a few other things are in weird places - the apostrophe for instance. But I'm trying (and mostly succeeding!) to get used to it so that I won't have typing issues when I type in Danish. Okay, one last thing, promise! Since this is my host family post, I thought that this would be a good place to say this: hundreds of students coming to the U.S. next year don't have host families yet. They might end up being told they can't come to the U.S. Please, if you can, consider being a host family! You can learn about hosting here, and you can look at students without families here. I know the relief I felt when I got my host family, and I'm imagining how these hundreds of kids feel who don't yet have host families. They come from about twenty different countries around the world. I haven't been a host, but I know that hosting is such a rewarding experience. If you think you don't have 'the right kind of family' for hosting, it's not true! Host families can be nuclear families, single parents, childless couples, and everything in between! So consider hosting. Please! Okay, so now you are informed about my host family and location! I think that I'll probably post once more before departure (less than six weeks!! It's getting closer! ), but I also know that I'm going to be really busy. Time will fly by. I'm spending a week or so with one of my friends (hi Annabeth! ), and besides packing my bags for a year I have to pack up my bedroom because my mom's moving while I'm away. Then I'm off to Cape Cod to see friends and family for a couple weeks before I leave. Then it's Denmark!